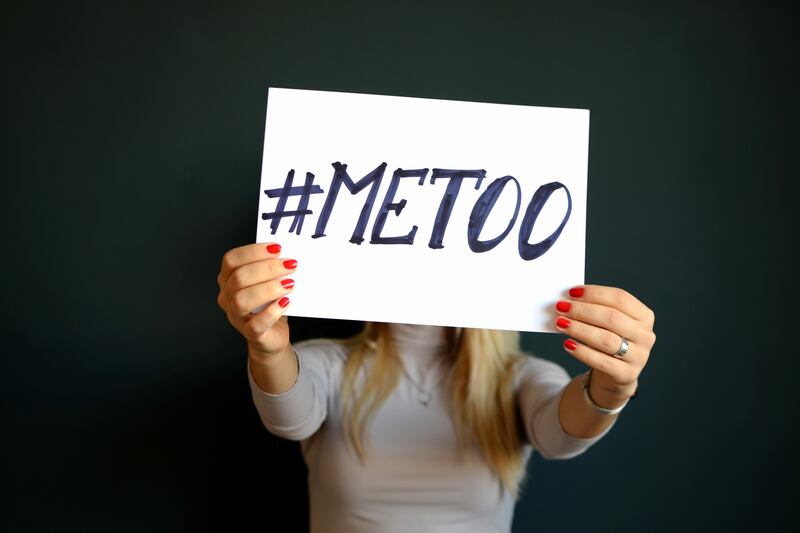 Since the #MeToo hashtag went viral on social media, empowering women around the world to speak out about sexual assault and harassment that they’ve faced in their daily lives and in the workplace, there has been heightened attention on these issues. Many victims who’ve come forward have stated that they did not feel comfortable sharing their experiences up to this point for personal reasons but also, overwhelmingly, for fear of potential professional consequences, including fear of being fired from their jobs or blacklisted from others. Why is it that so many victims of assault feel that they will not be protected if they come forward within their professional organization and particularly via the legal system? Leora Eisenstadt, assistant professor in the Department of Legal Studies at Temple University’s Fox School of Business, and Deanna Geddes, professor in the Department of Human Resource Management at Temple University, argue that there are serious flaws in the way the legal system handles harassment and assault cases that have allowed employers to hush victims and have caused many victims to remain silent as a result of seeing other victims of harassment and assault be ignored or punished when they sought help at work and in the courts. In “Suppressed Anger, Retaliation Doctrine, and Workplace Culture,” published in the University of Pennsylvania Journal of Business Law, Eisenstadt and Geddes overview the primary legal issues at hand in assault and harassment cases and argue that without changes to the law more victims will be suppressed from seeking justice. In your recent article you outline critiques for two employment law doctrines on retaliation: the “reasonable belief” doctrine and the “manner of the complaint” doctrine. Can you briefly explain each of these doctrines and the legal issues they present in assault and harassment cases? LE: These are both court-created doctrines that dictate how courts should analyze retaliation claims. The first, the “reasonable belief” doctrine, was explored in the Supreme Court’s 2001 decision in Clark County School District v. Breeden. The doctrine essentially dictates that for retaliatory conduct to be unlawful, the complaining party must have an objectively reasonable belief that the practices he or she opposed (which, in turn, gave rise to the retaliation) were unlawful and that the “reasonableness” of that belief will be based on whether a court would find the practices to be unlawful discrimination, not on whether the employee herself believed them to be unlawful. In other words, an employee who complains about sexual harassment or alleges some other form of discrimination may be terminated, demoted, and the like if a court would not deem the behavior he or she complained about to be unlawful under Title VII. Despite numerous problems with this approach, the doctrine has been adopted by every circuit in the country. The second doctrine is one we refer to as the “Manner of the Complaint” doctrine. In considering whether an employee’s “opposition conduct” is protected under Title VII’s retaliation provision, courts often consider the manner in which the complaint was made and claim to weigh both employer and employee interests in reaching a conclusion about reasonable behavior. In practice, courts rarely question an employer’s claim of insubordination, ignoring the circumstances that gave rise to the complaint, and focusing solely on the employer’s subjective belief that the employee’s demeanor was unacceptable. As a result, if an employee complains in an angry or aggressive manner, even if the behavior about which he or she complained was unlawful, the employer may deem the manner of the complaint to be insubordinate, which is essentially a “get out of liability free card” for the employer. In your paper you reference Kelly Ellis, a former Google engineer, who tweeted about being sexually harassed at work after leaving the company. She’s come forward saying that instead of investigating her accused harasser, Google reprimanded her. How common are these types of situations? LE: Unfortunately, they are all too common. There are numerous examples of companies ignoring sexual harassment complaints and retaliating against those who make the complaints rather than disciplining the harassers. One study found that 75% of employees who spoke out about workplace discrimination faced some sort of retaliation in response to their complaints. In addition, the “silence breakers,” those victims of harassment who have spoken out as part of the #MeToo and “Time’s Up” movements are, more often than not, former employees who have left the organizations at which the harassment took place. This fact is an indication of the significant fear of retaliation that keeps victims of harassment quiet until they can no longer be punished by an employer for speaking up. Why do you think there are so many instances of women or minorities being harassed at work and either being fired as a result of “manner of complaint” or being essentially made to leave quietly? LE: It is difficult and sometimes painful for an organization to confront harassment in its workplace. If those being accused of harassment are otherwise productive, valuable employees, it can be particularly hard to make stakeholders acknowledge the seriousness of the complaint. It was not until the recent #MeToo movement brought dozens of complaints into the light that many companies began to understand the negative impact of ignoring or quietly settling harassment complaints. Before this watershed moment, companies looked for ways to silence or eliminate the accuser because the complaint created practical and legal problems for the organization. Fortunately, more and more employers are beginning to acknowledge that ignoring or silencing complainants has numerous detrimental impacts on workplace culture and brand reputation. In what ways do unacknowledged instances of harassment impact overall worker morale and culture in an organization? DG: While some employees will keep silent about their harassment, many will confide in others about what’s going on. Consequently, these “silent” but sympathetic witnesses will begin to distrust and devalue their company and their management for allowing such behaviors to continue. Research shows that only about 25% of people to whom individuals confide actually advocate on their behalf - and surprisingly, most of these are not close friends of the harassment target. Still, word spreads in organizations. As colleagues feel less confident in their management’s judgment and support, they also learn to believe that it is useless for them to speak up if they have (or witness) similar problems. This culture of silence or suppression will likely contribute to reduced employee morale, productivity, and, obviously retention. Why do you argue that changing the retaliation doctrine should be a goal of not only workers but also employers? LE: Given the fact that unacknowledged complaints of harassment and discrimination can be toxic for an organization, impacting worker morale, productivity, and retention, employers should be looking for ways to encourage their employees to come forward with such complaints and to effectively investigate and address them. The two retaliation doctrines we discuss incentivize the opposite. These doctrines offer ways for employers to avoid liability for retaliating against complaining employees. As a result, they effectively operate to suppress employee complaints in the workplace. If employees see their co-workers complain, face retaliation, and have no recourse in court, they will get the message that complaints are not welcomed by employers and that retaliation is tolerated. Any reasonable employee in that position would keep quiet rather than risk losing his or her job. This cycle and a company culture of suppression is unlikely to change without a change in the court doctrines that essentially protects retaliation. Do you think the recent #MeToo movement and others like it are giving employees encouragement to speak up at work about harassment or are they still feeling forced to wait until after leaving a company to share their experience? LE: As we mentioned earlier, it is telling that many of the women who are speaking up about harassment are those who have already left the organization where they experienced it. We certainly hope that as more women and men come forward with complaints, companies will be less likely to retaliate against the complainants and instead take their complaints seriously. Unfortunately, we’re not there yet. Stanford Law Review's Senior Articles Editor Karen Ding shares how moving the journal's submissions to Scholastica will improve its editorial workflows and article selection process.